A house-warming gift is a great way to welcome someone new to the neighbourhood, whilst making a positive first impression. 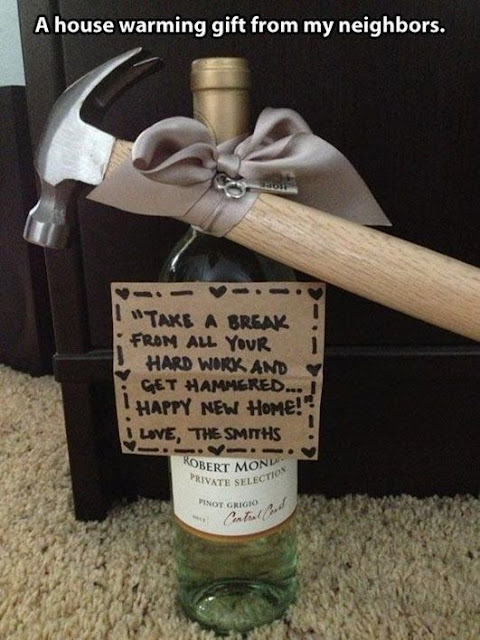 Here's one we found that makes us wish the Smiths were our neighbours! Possibly the best neighbour gift ever! I don't know many people who wouldn't love receiving a bottle of wine, but even if they don't drink, it's always handy having a bottle of wine in the cupboard to offer to guest or friends that pop around. This is a particularly thoughtful drink for new neighbours that are also renovating. The addition of the hammer is funny, but also practical - something you'd definitely use after moving into a new house and need for the odd repair job or putting up pictures. The little note included with this gift looks lovely and natural and personal since it's handwritten. 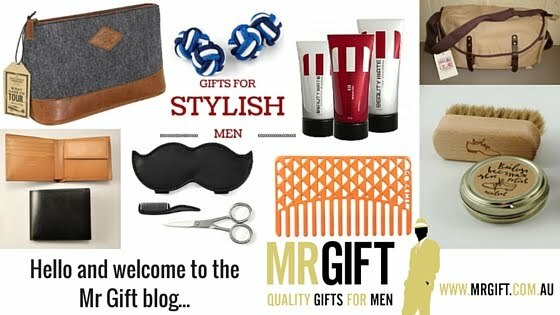 You could use any type of gift card here, but the 'swing-tag' type with a string work particularly well. Have you ever given or received a 'neighbour gift'?